Let’s say that you’re looking for a bike for your commute. If one of the features that you’d like is an internal hub shifter, your choices are a little limited. There are a fair number of new bike brands that pop up every day (mostly via Kickstarter campaigns) that will incorporate internal gear hubs. This is mostly because these brands are started by people who have no idea how to design a practical bike, and derailleurs merely offend their design sensibilities by disturbing the “lines” of their sleek modern creations. These internet-only bikes wouldn’t stand up to test rides or dollar-for-dollar comparisons if we had them in the store. What we do have is a line of well designed urban bikes made by a 30 year old bike brand. 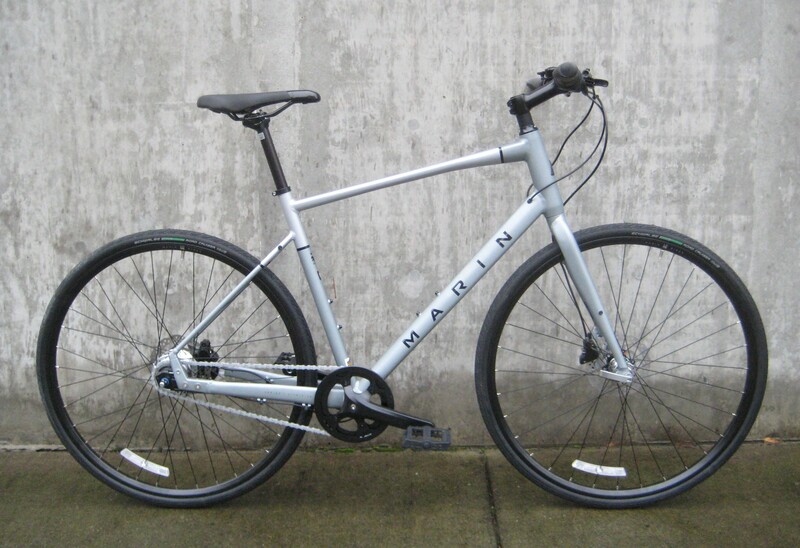 With Marin you can choose among four models that offer internal gear hubs (some with belt drives). 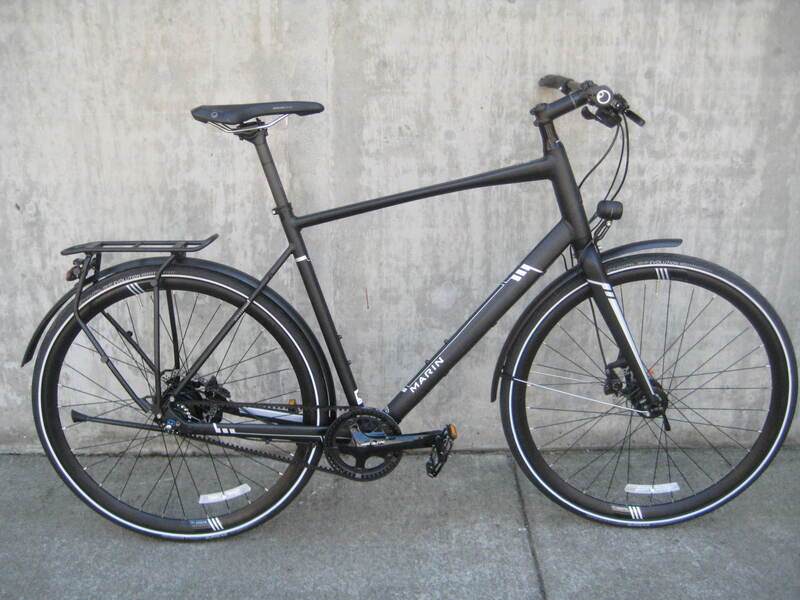 Not only will you get a bike that looks elegant and simple, you’ll get a bike that handles right, has attachment points for fenders and racks (in the correct spots), brakes that work, saddles that are comfortable, and seven sizes for the right fit. Marin’s comfort/recreation bikes are built to just hop on and go riding. Marin designed the Stinson so that It could be ridden comfortably in regular clothing. The seat has ample cushion, so there is no need for padded bike shorts. The grips feel right without gloves, and the chainguard keeps your pants from getting snagged in the works. An upright position and stable handling makes this bike work well for a new bike rider or someone who wants to pay attention to the scenery, not to their aching neck. The Stinson uses bigger cruiser-sized tires (think mountain bike tires, but smoother) to give the bike a soft and stable ride. 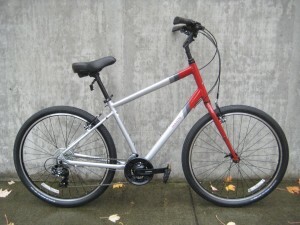 A lot of people think that they want a beach cruiser bike for roaming around the neighborhood. A great idea, but beach cruisers are not ideal for the Puget Sound region. Beach cruisers typically have a single speed (which makes it tough to climb up hills), swept-back bars (which make the bike hard to control if you get up out of the saddle) and coaster brakes (which don’t offer enough stopping power on hilly terrain or wet streets). Don’t buy a beach cruiser. Buy this Marin. So you’re indecisive. Or not. 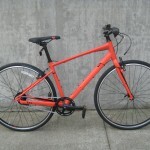 You want a mountain bike for riding on trails in the Grand Forest. No. 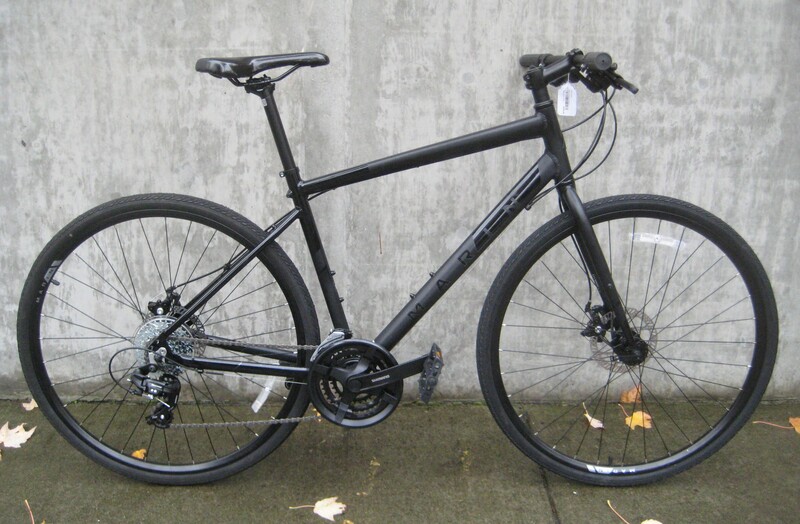 You want a road bike so you can ride Seattle-to-Portland. No, that’s not right either. You plan on bike commuting to work during the week, and doing some touring and camping on the weekend. On gravel roads. Or maybe you’ll start doing triathlons. You just want a bike. Is that so hard? If you can’t make up your mind, and want just one bike to handle everything, Marin has you covered with their San Rafael series of bikes. 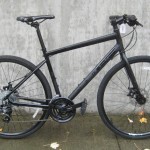 Staring around $500 with the San Rafael 1 model with versions going up to around $1000, Marin gives you a broad range of bikes that do nothing exceptionally well but aren’t too bad at anything either. Aboard a Dual Sport bike you’ll get dropped by road bikers and mountain bikers alike, but you’ll probably still have fun trying to keep up. The thing to remember is that you can quickly ride to the trailhead (while your mountain biker friends will probably opt to drive there) and your roadie friends won’t be able to follow you onto the gravel. Classic Cycle stocks a lot of hybrid and flat-handlebar road bikes. Why did we add these Marins to an already fairly crowded showroom? A lot of little reasons. The Fairfax SC6 Deluxe comes stock with a generator light system, Shimano Alfine hub internal shifting system, a Gates belt drive, fenders and a rack. 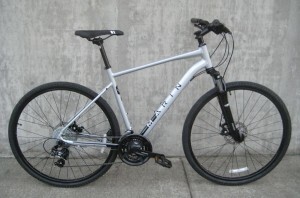 There’s the stripped-down Fairfax SC with the internal shifting and belt drive for under $800. 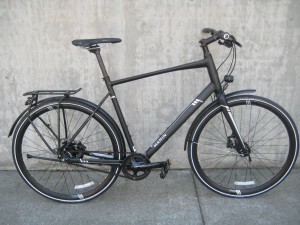 The Fairfax 1 gets you on a reliable commuter bike with disc brakes for less than $500. The bikes look really nice. 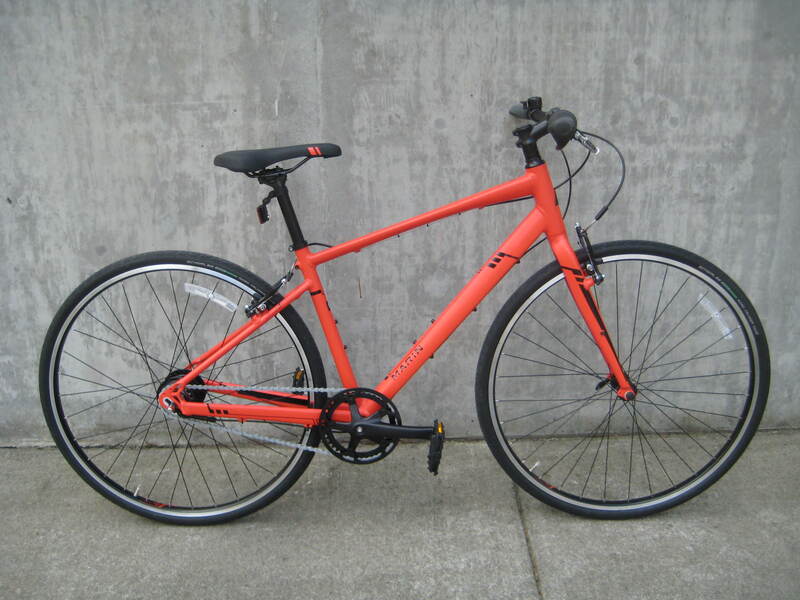 There’s a gloss black bike with red accents, There’s one in a bright red color. They’re all pretty refreshing in a sea of matte grey commuter bikes. 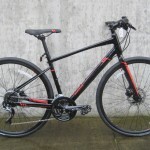 You may have noticed that many of the bikes on our website are lacking prices. We also seem to be missing an “add to shopping cart” button. We like bikes. We like you. 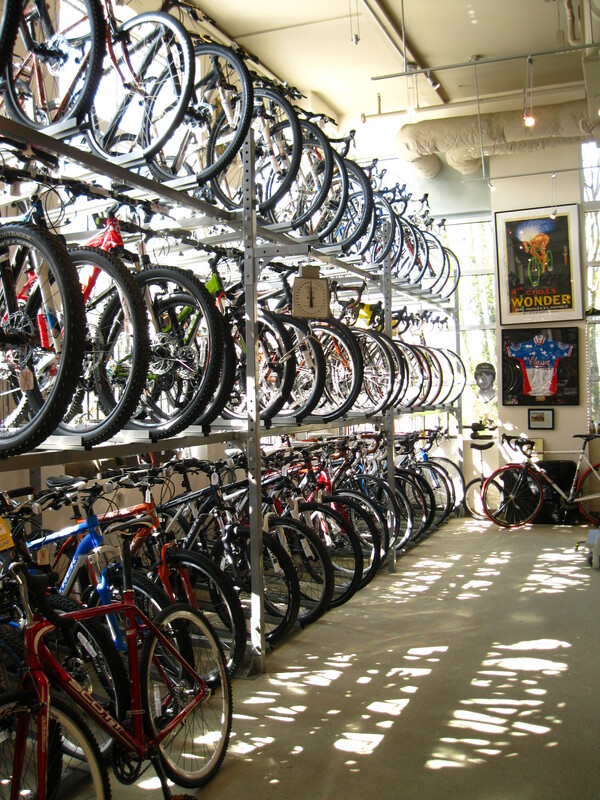 We want you to ride a bicycle that works well, fits you correctly, and is appropriate for the kinds of riding that you like to do. We can’t make all of this happen through a website. 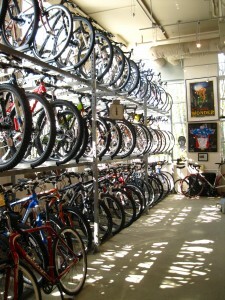 If you want a new bike, come in to Classic Cycle. Talk to us. Touch the bicycles. You can ride around Winslow, and see what the different models have to offer. Come in to the shop, and Gavin will make some adjustments to the bike to make it fit just right (and tell you about the time he won that race in Sicily while he’s at it). Sit at our bar and watch bike racing on the television or experience a bit of our little museum. Spend some time here so that Jaime can show you clothing and accessories that will resolve the little issues that nag at you while you ride. Paul will assemble your bike with the same attention to detail that went into building bikes for two Olympic Games and countless professional racers.